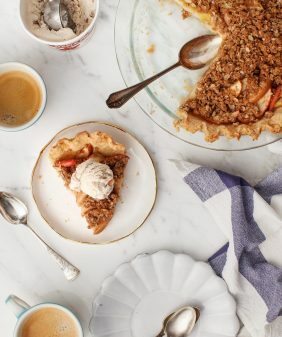 This healthy apple crisp is my favorite dessert for fall entertaining. 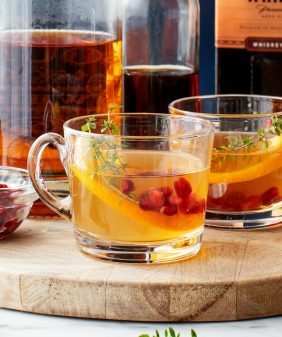 It's easy to make and filled with warming spices - cinnamon, ginger, and cardamom. Is there anything better than warm apple crisp baking in the oven? This healthy apple crisp has been my go-to dessert lately to serve to friends and family. It’s easy to make, it’s deliciously spiced, and it will make your kitchen smell amazing! I’ve made lots and lots of apple crisps in the past, but this one takes the cake. It starts with warm, stewed, soft apples – I cook them down with a little apple cider vinegar for pop. Then, I add cinnamon, ginger, and a pinch of cardamom to give them a warm, spiced flavor. I love these apples so much that you could just stop here and eat the apples by themselves if you wanted a truly healthy fruit-only dessert. They’d also be insanely good on oatmeal for breakfast. 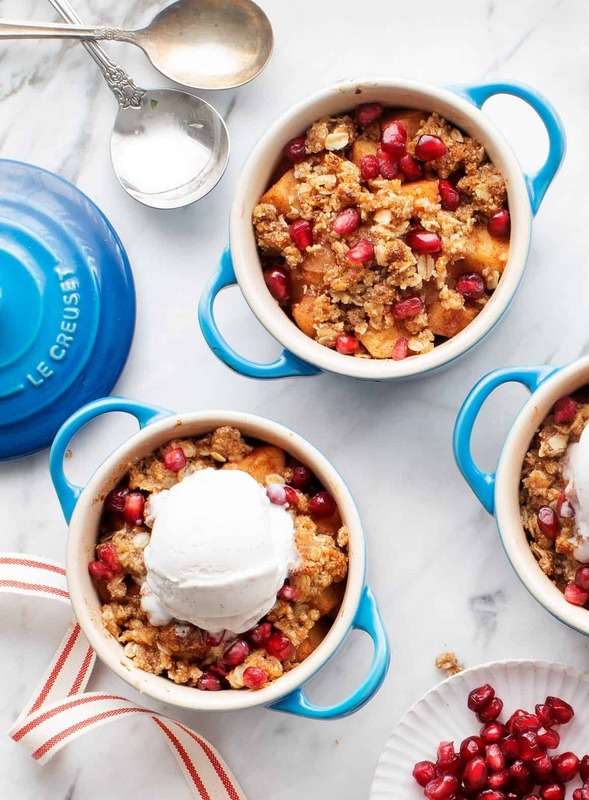 But, since this is dessert and it’s called apple crisp, let’s talk about that crispy topping! It’s a mix of rolled oats, almond flour, walnuts, coconut oil, brown sugar (or coconut sugar), and, of course, more cinnamon, because I don’t think there could ever be too much cinnamon in an apple crisp. 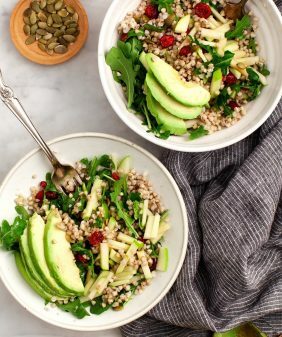 This dessert also happens to be vegan and gluten-free because these ingredients taste so amazing on apples that butter or flour just aren’t necessary here. This healthy apple crisp recipe is great for entertaining because it can almost entirely be made in advance. I make the apples and the topping ahead of time and divide the the apples among the ramekins. When I’m about ready to serve it, I sprinkle on the topping and pop them in the oven. I like to make these extra festive by sprinkling them with pomegranates. Serve with vanilla ice cream and dig in! For more fall dessert ideas, try this pumpkin bread, this apple pie, or this apple crumble! 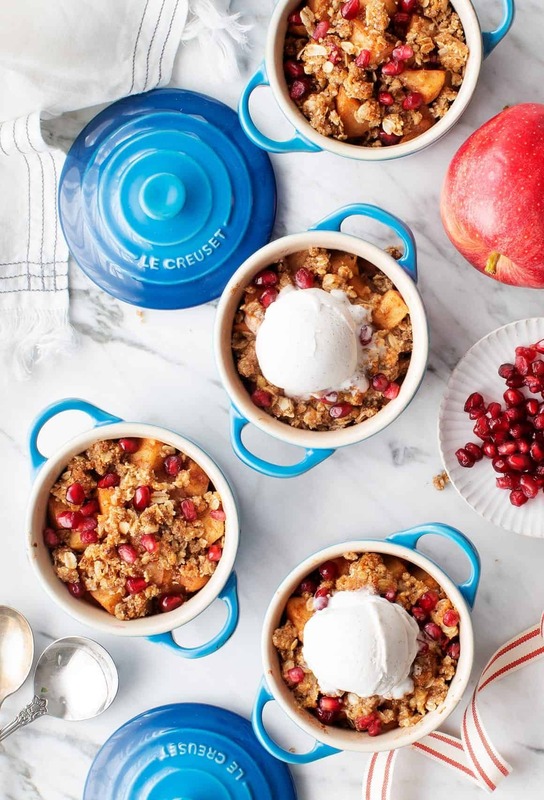 This Spiced Apple Crisp is an easy, healthy, delicious fall dessert that's great for entertaining. Prepare the filling and topping separately, combine, and bake when you're ready to serve! 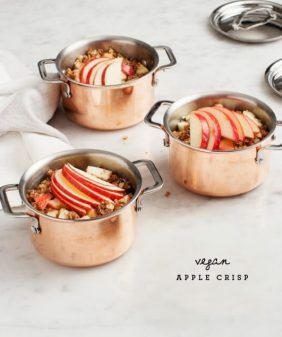 Make the filling: Combine the apples, apple cider vinegar, and water in a saucepan and simmer over very low heat, covered, stirring occasionally (making sure the apples don’t burn on the bottom of the pan) for 15 minutes. Uncover, stir, and add the cinnamon, cardamom, ginger, and salt and stir again. The apple should be tender and the juices should be thick. 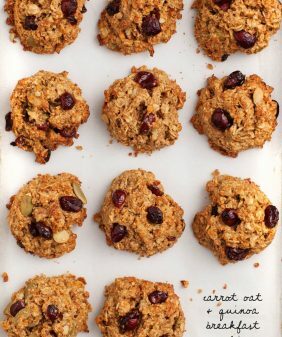 Make the topping: In a small bowl, combine the oats, almond flour, walnuts, sugar, cinnamon, and salt. Use your hands work in the firm coconut oil until the mixture crumbles. If the mixture is too dry, add a few drizzles of water until the mixture starts to stick together when pinched. Scoop the apple filling into 4 individual ramekins, top with the crumble (you may have a little bit extra) and bake for 15 to 20 minutes or until lightly crisp on top. Remove from the oven. Top with pomegranates and serve with vanilla ice cream. yep, that should work just fine! Can any flour be used in topping? My great niece is allergic to nuts of any kind. 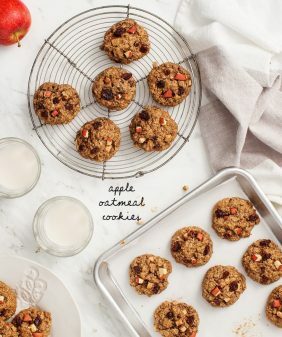 Hello Jeanine, Quick question about the apples – the recipe mentions “4 apples, sliced” but the photos show cubed apples. 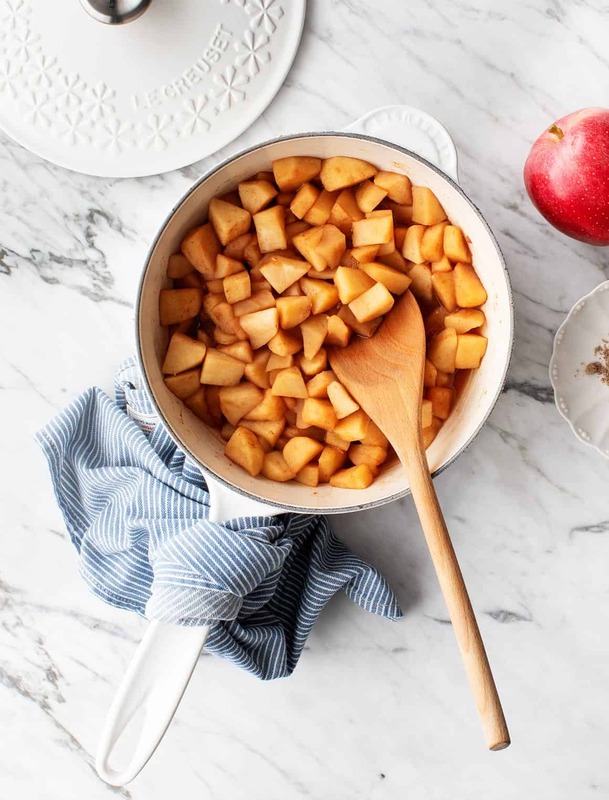 When should I cube the apples – before cooking on the stove or after? Cheers! you’re right – cubed! Cut them into cubes before cooking. Just fixed that, thanks! Whew, thanks very much, Jeanine! I was driving myself crazy last night, LOL. I’ll be trying this pronto – looks too delicious to wait any longer. Happy Holidays! I have way too many apples I think! How many cups did your 4 apples make? it’s a pot full to begin with, but they cook down by nearly 2x, enough to fill 4 small ramekins. The crumble recipe makes a tad extra, so if you have extra apples, that’s not necessarily a problem, you just might just have enough for 1 more serving. Or you can always save the extra cooked apples for oatmeal in the morning. Hope that helps!